In some cases an administrator needs to configure multiple IP addresses one a single network interface (NIC) in Windows. An example of such situations can be the need to run multiple sites with unique IP addresses and SSL certificates (e. g., SSL certificates from Let’s Encrypt) on one IIS or Apache server, preparing to change of IP addressing in a subnet, binding the applications to different IP addresses, etc. As you can see, one IP address (192.168.1.90) is assigned to the local network connection (it is called Ethernet0 in my case). You can add the second static IP address in a number of ways. 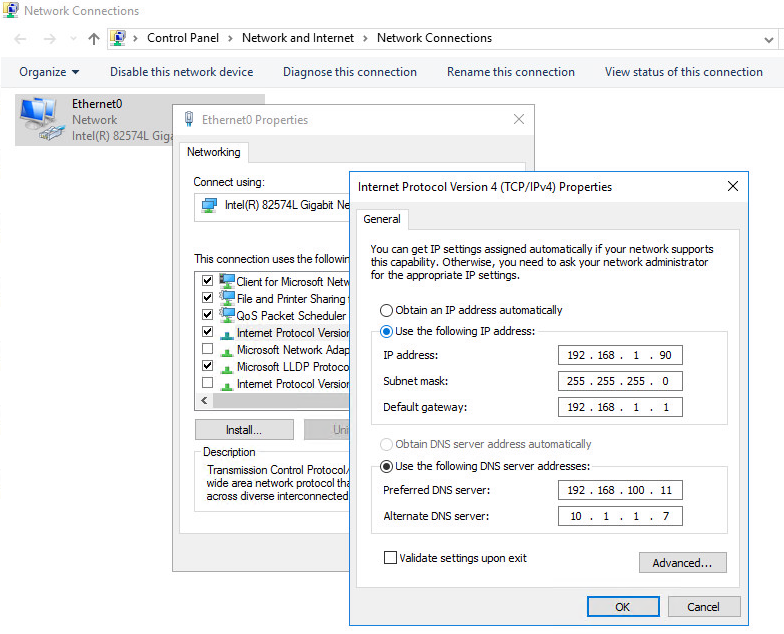 How to Add an Additional IP Address via Windows GUI? 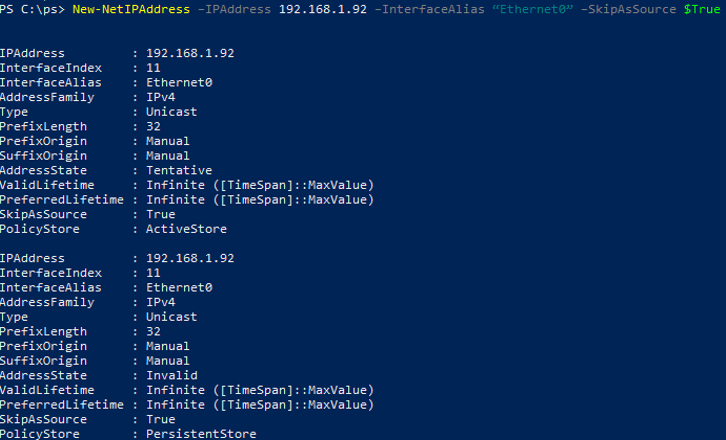 How to Assign the Second IP Address Using Netsh Command? 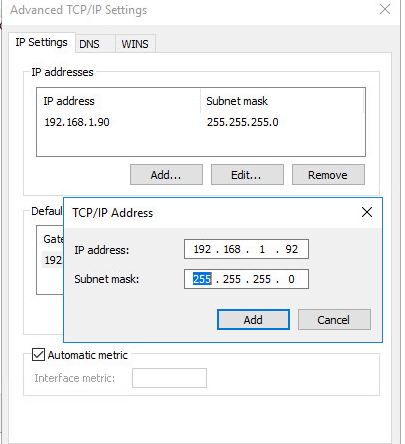 You can add the second IP address from the Windows GUI. Save the changes by clicking OK several times. Using the ipconfig command, make sure that the second IP address has appeared on this interface. Check the availability of the second IP address from other computers in the same network using the ping command. It should respond. The main drawback of adding the second IP address using this method is that the SkipAsSource (SkipAsSource=False) flag is not enabled for it. If SkipAsSource is enabled (True), the IP address won’t be used by the system for outbound connections, except if it is explicitly used by a certain application. Also, if the flag is enabled, the second IP address is not registered in the DNS (even when the dynamic registration is enabled). In general, you can set the main IP address using SkipAsSource parameter. You can assign an additional IP address from the command prompt using the Netsh utility. This command also allows you to set the SkipAsSource for an IP address.